KAMPALA, Uganda -- Modest reductions in air pollution can prevent the deaths of tens of thousands of infants in sub-Saharan Africa each year, according to a new scientific study that investigated the link between breathable air pollutants and premature deaths in 30 countries across the continent. There is a "robust relationship" between breathable particulate matter and infant mortality in some of the world's poorest countries, according researchers from Stanford University and the University of California, San Diego published Wednesday in the journal Nature. Although few pollution monitoring systems exist in Africa, the researchers combined satellite-based data estimating the concentration of air pollutant particles with household health survey data on the location and timing of almost 1 million infant births -- and any subsequent deaths -- between 2001 and 2015. Particulate matter, one of many air pollutants, is believed by many experts to be the most harmful to human health. The term refers to small particles suspended in the air, including dust and black carbon originating from such sources as fossil fuel and biomass burning. Air pollution contributes to the global burden of heart disease, lung cancer, as well as respiratory diseases such as asthma and pneumonia, according to the World Health Organization (WHO). Some countries, however, are starting to act. 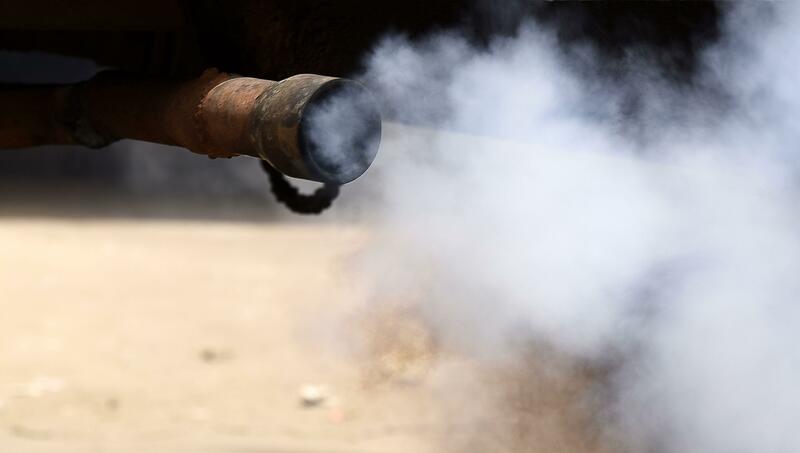 In the East African nation of Uganda, where cars emitting black exhaust fumes are a common sight on the roads, a draft law proposes to ban imports of vehicles older than eight years. The bill, already approved by Uganda's cabinet, aims to curb imports of used Japanese cars that are seen as a major source of pollution in the urban areas. According to the WHO, 97 percent of cities with more than 100,000 inhabitants in developing countries don't meet WHO air quality guidelines. That number decreases to 49 percent in high-income countries. Last month, WHO reported that nine out of 10 people worldwide breathe air with high levels of pollutants. It said there are 4.3 million deaths a year due to exposure to outdoor air pollution and 3.8 million deaths each year due to household exposure to smoke from fuels and dirty stoves.